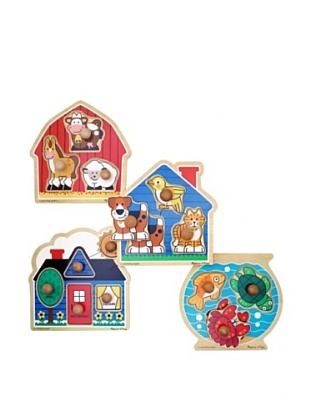 Currently you can find a fun Melissa & Doug sale from MyHabit.com (part of Amazon), score a set of 4 knob style puzzles for $29 ($7.25 each) or a set of 5 "Chunky" puzzles for $35 ($7 each). Currently these puzzles are priced at $9-$12 each on Amazon . There are several other fun Melissa & Doug toys featured as well! Free shipping is included! 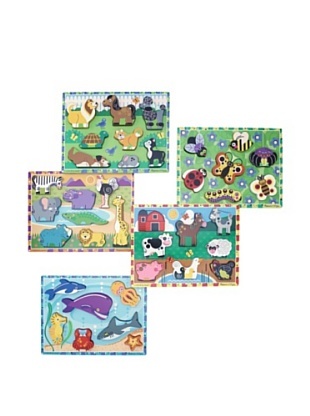 Find this sale HERE!